London is a town for the curious. 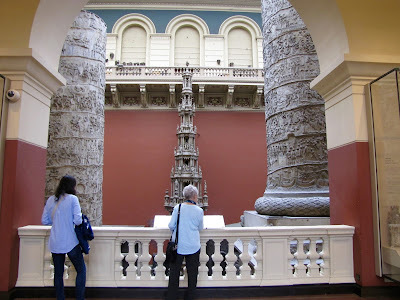 Even the youngest engage intensely with this immense metropolis. 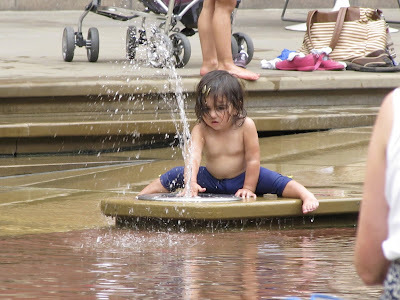 We have not actually seen many children - most gaze from prams or are heading to school in their shorts and sturdy shoes, but those who were out-and-about we observed playing with joyful and intent concentration. The girl above seemed like she was in a glass case herself. In the Victorian and Albert Museum she read quietly about the maker of that extraordinary piece of glass. 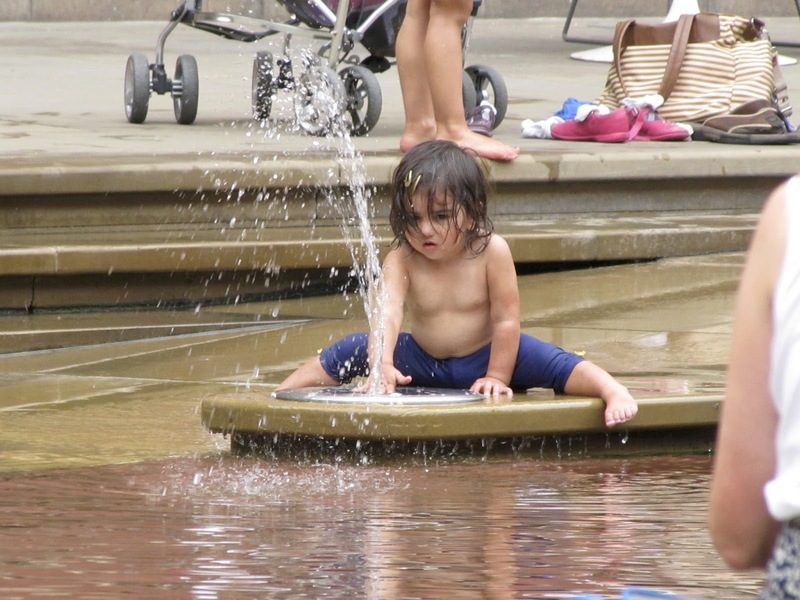 The child below was sitting on the edge of the fountain in the same museum. I've spotted others throwing leaves, sliding down banisters and chasing birds. 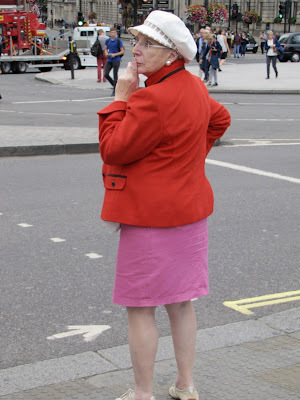 Or chattering away with excitement standing on the edge of curbs - buses and black taxis swishing by their toes. Mostly one wanders in crowds. Even late at night, the little alleyways in Soho or Convent Garden are jammed with jostlers. Rarely are the streets entirely empty. 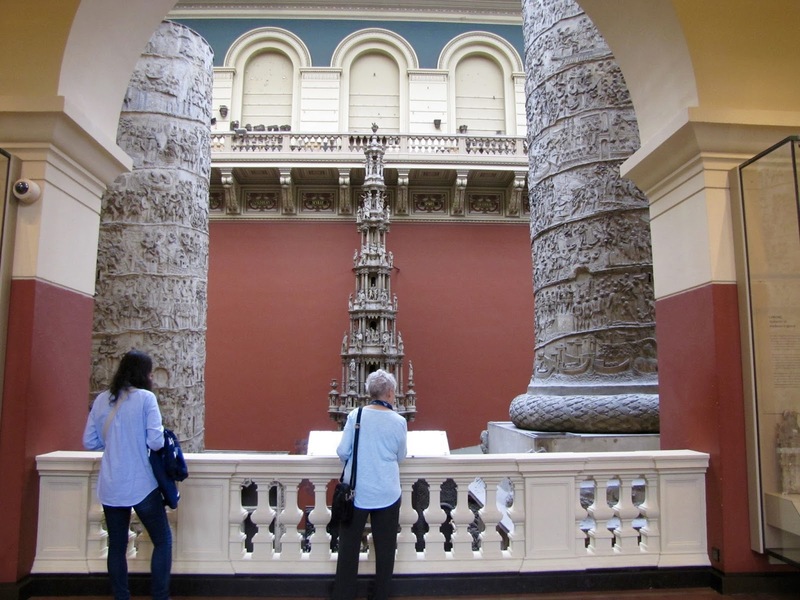 Likewise the museums. 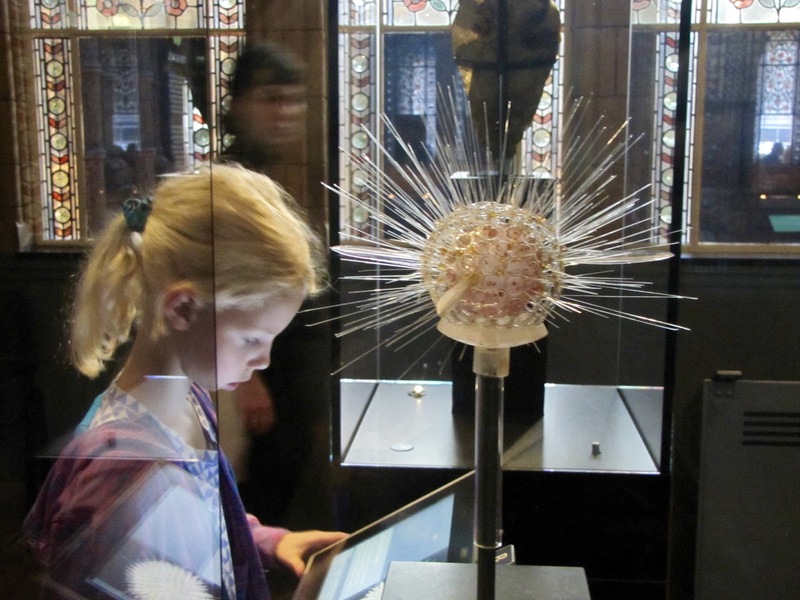 I caught this photo of my sister looking down into a gallery, where artifacts are examined, cleaned and repaired. I had to wait between people ambling by to take this photo. Imagine this space with only whispers and the quiet clack of heels. I loved seeing the lady below. She is my most curious of sightings. I so admire her courage to wear these colors! 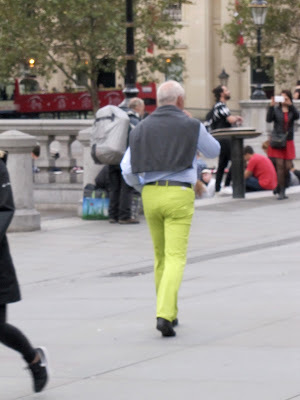 And this man his chartreuse pants! Most curious? All of those tourists taking photos! And shame on them. 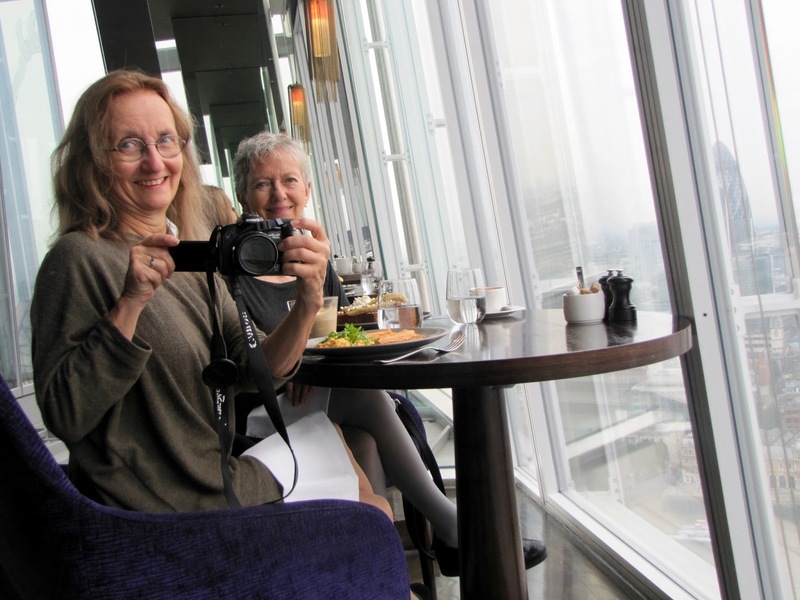 Taking selfies here in the Shard's elegant restaurant.